Files with dg file extension are used by Tekla Structures software and Tekla BIMsight software. The dg file extension is associated with the Tekla Structures, a BIM (building information modeling) application for Microsoft Windows operating system, developed by Tekla. The dg file contains drawing created in Tekla modeling app. 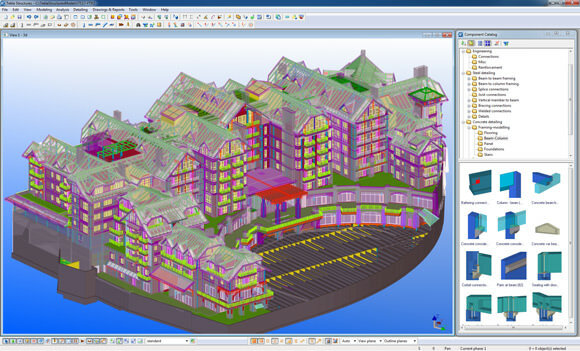 Tekla BIMsight provides a 3D communication platform that is used to sharing models and information between users. Use Tekla software to open *.dg files. Use Tekla software to transform *.dg files to other file formats. Programs supporting the exension dg on the main platforms Windows, Mac, Linux or mobile. Click on the link to get more information about listed programs for open dg file action. Programs supporting the exension dg on the main platforms Windows, Mac, Linux or mobile. Click on the link to get more information about listed programs for edit dg file action. Programs supporting the exension dg on the main platforms Windows, Mac, Linux or mobile. Click on the link to get more information about listed programs for create dg file action.